My body has been hinting, quite heavily, at the kinds of food I should and should not be eating. I’ve decided to try and listen to what my tummy is telling me and eat less meat; certainly less red meat. I have always wanted to adopt a healthier way of living and have managed to find excuses. Now, when I seem to be busier than ever, I’ve delved into cooking vegetarian (mostly) meals and I am amazed at the fantastic results. Just a small part of my first shop. 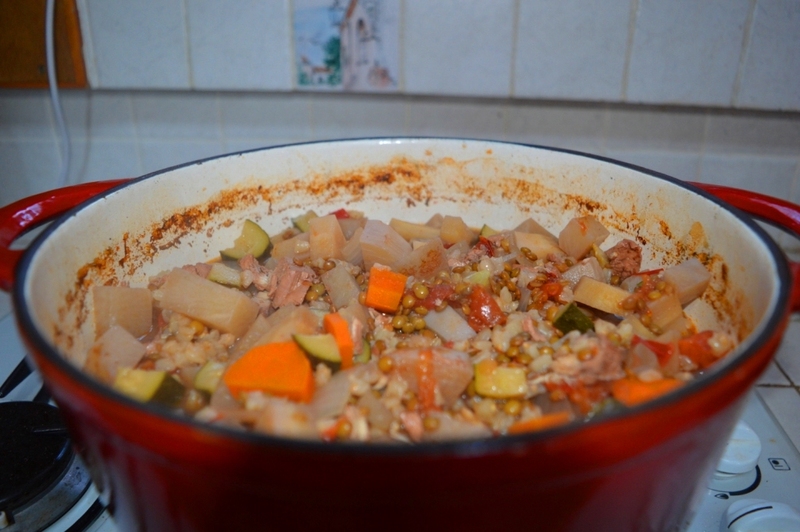 I used the vegetables I had purchased that day and I used plain old flour instead of cornstarch. I never have all the correct ingredients. This worked a treat. I cook great rice, even if I say so myself. I cover the rice by about an inch of water (maybe a fraction less), boil until the water goes milky, then put the lid on and turn off the heat. Ten to fifteen minutes later, perfect rice. This meal fed Noel and I for two nights. Second night: Left over Ginger Veggie Stir Fry. This is a fantastic recipe, so easy and so fulfilling. I stirred in some Tandoori paste instead of ghee. I used olive oil instead of butter, I didn’t use mustard seeds or ground cumin and I used the vegetables I had purchased. 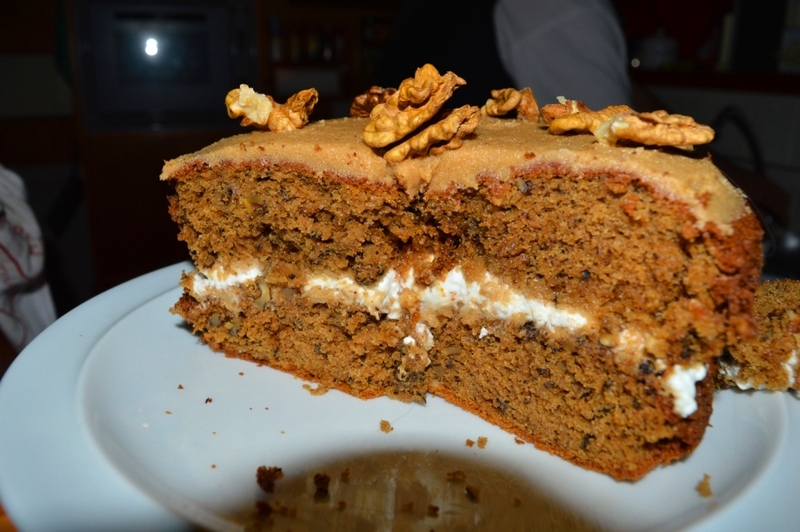 Definitely use pumpkin and potato for the top – fabulous! This fed us for three nights! And I have made it again since, I can’t get enough of this and it fills me up easily. Fourth & Fifth nights: Left over curried pie. Noel bought some chicken. I find it hard to completely cut meat out of our diet. I enjoy it, but I haven’t eaten red meat for a few months now and I certainly feel the benefits. This was just plain old chicken stew, with all those great ‘in season’ veges, swedes, parsnips, carrots, also onions, leeks, and whatever you have to hand. I braised the chicken separately first. In the big pot I used vege stock, cup of wine, a few herbs (whatever is to hand – basil, parsley), a bit of sweet chilli and soy sauce. A half a cup of French lentils is a good idea to help fill you up. Perfect! So easy, tasty and filling. Spinach and blue cheese frittata – I didn’t have nuts or tomatoes, it was still yummy. 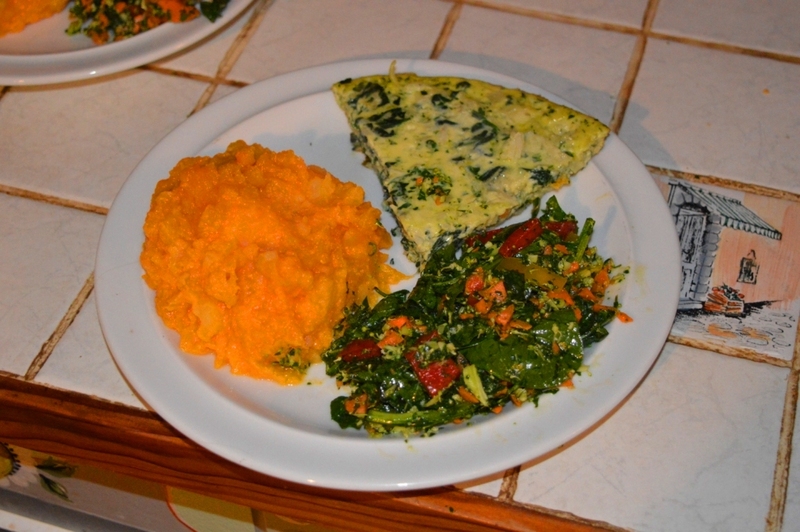 We’d worked hard that day – so I added pumpkin and potato mash and a delicious salad of spinnach, fresh parsley, carrot, zuchinni, peppers, onion – yum! 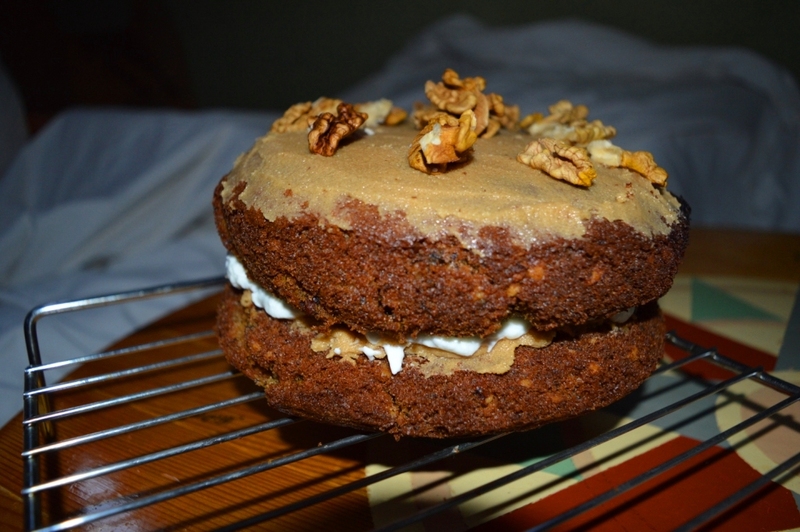 We were given some walnuts and did I have fun cracking them – then I made this wonderful, truly fantastic cake – with a healthy twist! I didn’t want to use double cream and I had only ‘normal’ yoghurt. So I spooned out two pots of yoghurt (small pots) into coffee filters (one pot per filter), then, I stood the filters in a colander, and let all the liquid drain away. Voila! Thick (Greek style) yoghurt – thick enough to use as a cream substitute! 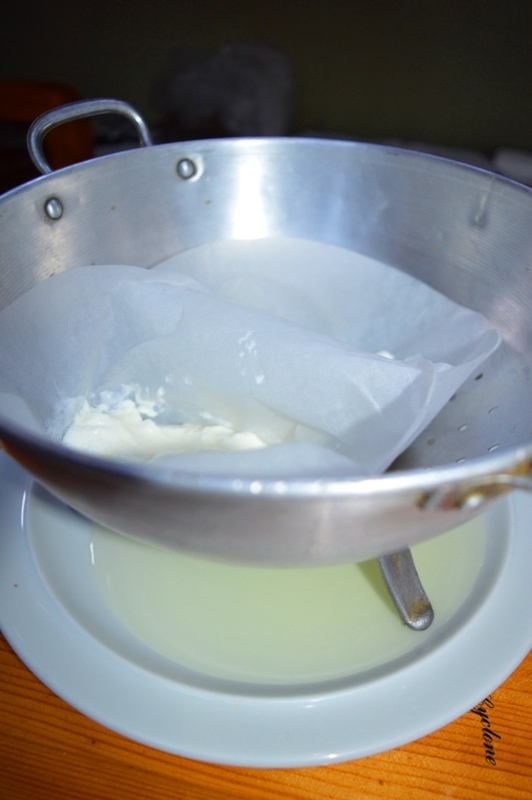 Draining the yoghurt – for 1-2 hours. It worked perfecting – the icing is so sweet that the yoghurt balances out the sweetness and in all honestly, tasted just like cream! Not as pretty as the recipe picture – but absolutely delicious! I was so proud of my efforts – I had to include two pics! I am loving the ‘zone-out’ time cooking is giving me. My body is enjoying the benefits and so is our bank balance! The big plus is finding recipes that are fulfilling, I am a big eater. Now, I can eat as much as I want and I’m not piling on the pounds! I;d love to hear from anyone who has great recipes to share. 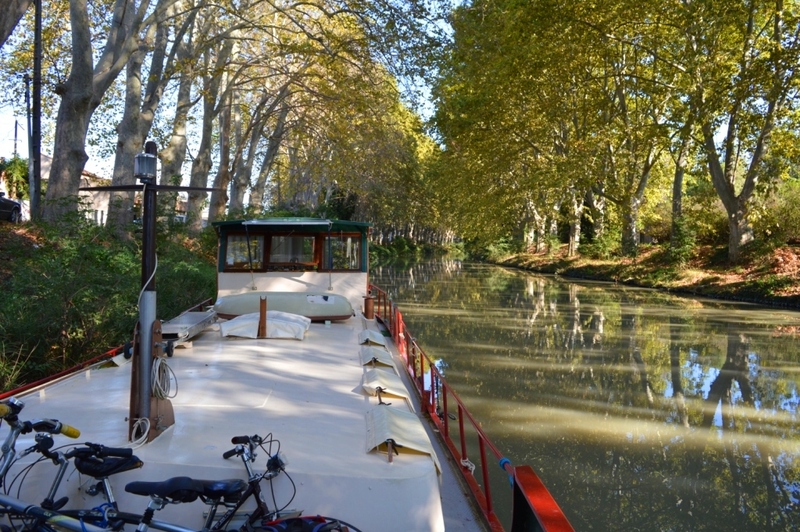 Categories: Life's Little Escapades, Loving life | Tags: cooking, Cruising, dutch barge, eating on board, French canals, Healthy cooking, healthy eating, healthy living, living in France, living on board, living well, recipes, saving money, vegetarian | Permalink. If you haven’t already found it – ‘Plenty’ by Yotam Ottolenghi has brilliant ‘vibrant vegetable recipes’. There is something about being in France that has made us adopt a much reduced red meat diet – the chicken is wonderful if you buy it right and if you get the giblets etc the stocks keep you going all week, but a good 2kg chicken will cost about €20! Thanks so much – I will look that up. We actually find ALL the kitchen excellent – seems to have a yellow tinge and taste excellent – whatever you do to it! So we’ve got some excellent chicken from the general supermarkets – excellent price. This Ginger Veggie seems really tasty. I think this’ll be the dinner tonight. I’m on Loaded Gun diet and trying to get more veggies into my eating habits. I lost 20 pounds already but the health’s more important. Well done you! 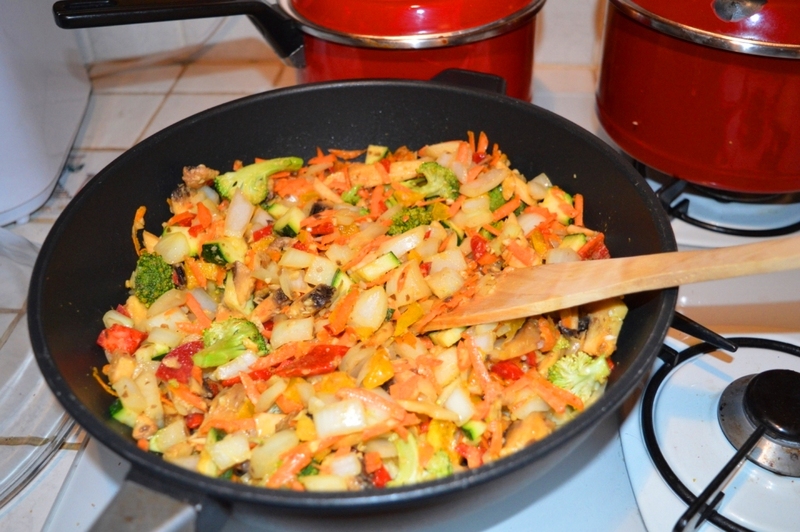 Yes, the stir-fry is delicious and so easy. I am just trying not to put on weight – not dieting, just keeping healthy – sort of changing the way I eat, so it stays that way – if that makes sense. I wish you luck, enjoy and stay in touch ! these are gorgeous. I can’t wait to try lentil pies in particular. and I’m just jealous of the awesome veggies you have available around you! Thank Behan, we are lucky and they are so reasonably priced! 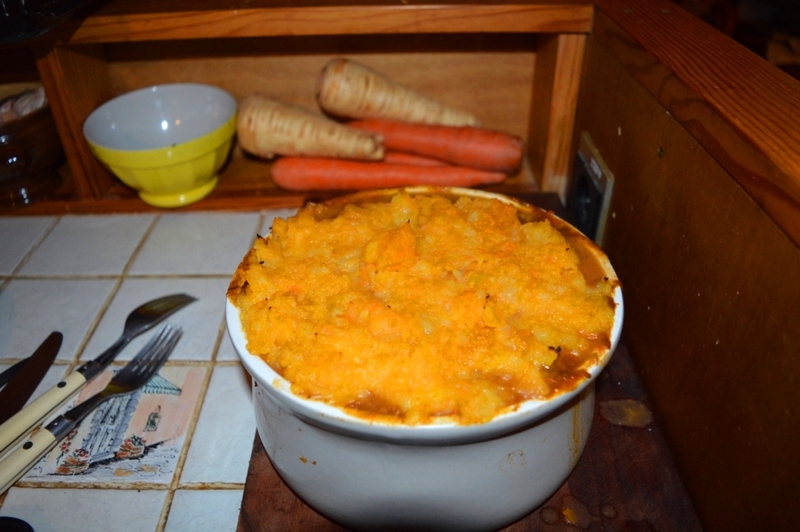 The lentil pie is incredible, just because it fulfills me, as I say, I eat a lot, and I am completely satisfied when I have this – it is so easy to do too. oooh, I’d love to see some of your recipes. Thanks for stopping by, I always exchange processed sugar for brown sugar (the darker the better) – so I love the fact that you use no sugar etc. – Happy sailing and cooking to you – stay in touch! Living on a boat is all about eating local ingredients. They are cheap and fresh and as you have shown you can cook some amazing dishes. Hi Dini, thanks so much for the recipe links (a few comments up – as I can’t reply directly to your message)! It looks fantastic – and I love things like this – I will be giving it a try – keep them coming – delighted to hear I have inspired you to return to the galley! Looking forward to hearing about it! Fair winds! Wow…everything looks amazing. We just purchased a couple bags full of veggies from a local organic farmer (we’re in Sicily) and for the first time in my life I’m actually enjoying cooking. I usually look for a recipe on the Internet and just have a go at it…I never have all the ingredients and I often don’t have the correct measurement tools but what I’ve discovered is that in most cases when you add good ingredients you really can’t go wrong. Thank you for this article – I’ve made a note of a few of these recipes and I’m going to give them a go! Hi Kim, thanks so much – I am like you, I have just got into cooking and actually making an effort to follow recipes! I am silly enough to be surprised that this works! 😉 I too never have the right ingredients, but I am becoming very good at substituting! Such fun! I totally agree – good ingredients is the trick. 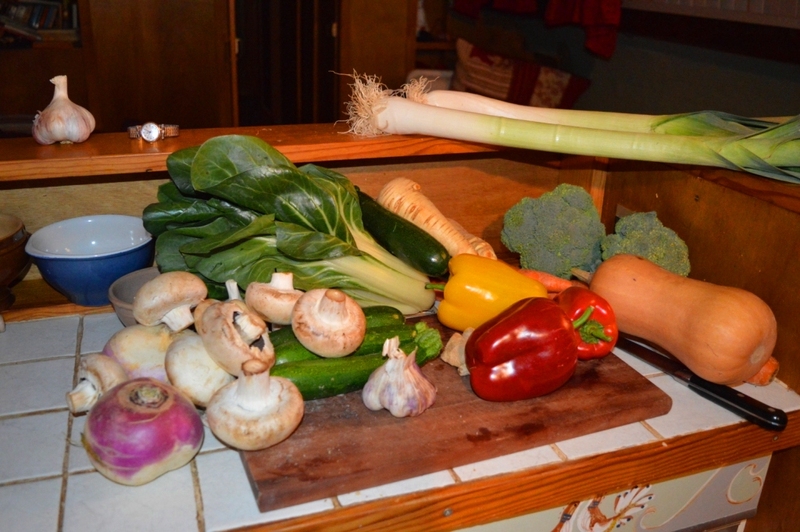 I love the challenge of finding good, reasonably priced veges and a then a recipe to match. Let me know how you go!